Spread blue frosting over 1/2-3/4 of your graham cracker. Add fishes into the "water." 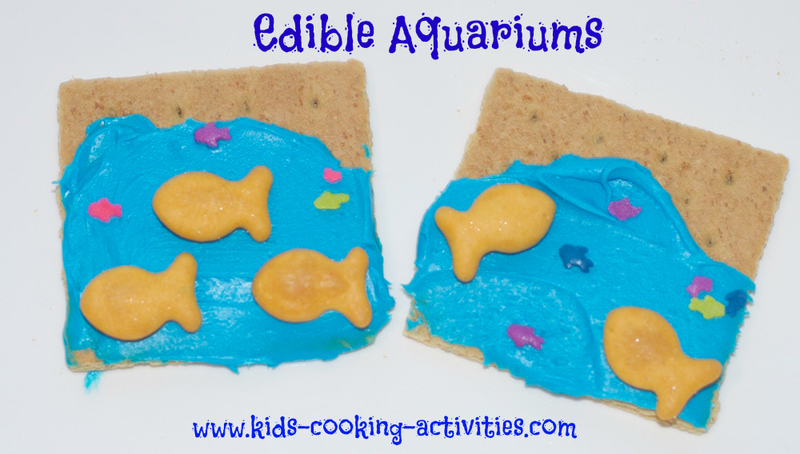 **The great thing about this craft is the fact that it allows you to teach your kid about the ocean, different types of sea creatures and do some math while counting the fishes. Here are more under the sea cooking ideas.